A common form of internet marketing is email marketing. Email marketing is the practice of sending emails to potential and current donors to inform them and build a personal relationship with them. 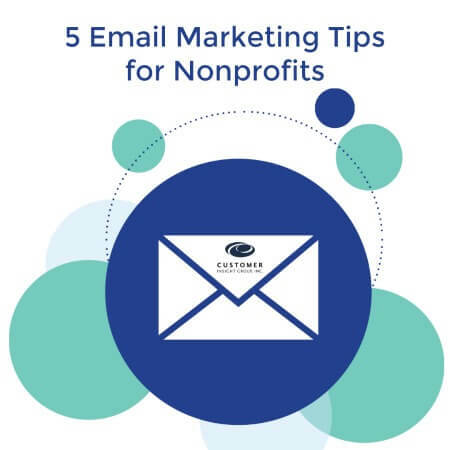 For nonprofit organizations, email continues to be an effective tactic. 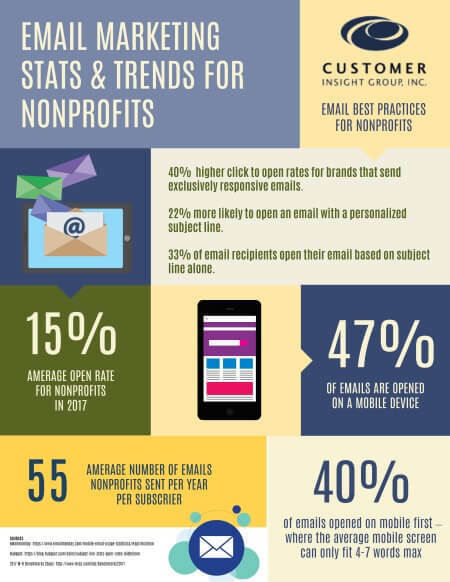 Email messaging has accounted for 26 percent of all online revenue generated by nonprofits. In fact, for every 1,000 fundraising email messages delivered, nonprofits raise 36 dollars. 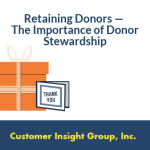 It’s an affordable and important communication channel as part of your donor stewardship plan. If you’ve tried email marketing and you’d like to improve your results, then check out these tips for creating attractive emails and increasing open and click-through rates. The subject line is usually the first thing the user sees. Thirty-three percent of email recipients open their email based on subject line alone. With so many emails to go through, they’ll want to know whether or not it’s an email worth opening. There are multiple factors to consider, including what the mission of your company and the goal you hope to achieve in sending a particular email. Remember you want the subject line to be enticing and compelling at the same time. Don’t let the subject line be so long that it doesn’t fully show before the person opens it. The best subject lines are typically 35 to 40 characters long. Keep it short and relevant to the purpose of the email. You could create subject lines that make subscribers curious by asking a question (and answering it in your email). If there is a special event, consider using a subject line that has words in it like “urgent”, “breaking”, “important” or “alert” to let them know this is time sensitive and they don’t want to miss out. Personalization such as a recipient’s first name or username can dramatically improve your email open rate. Once you have a subject line, test it to see what works best. Create a test with an equal portion of your subscriber list, send them the same email with two different subject lines and analyze open rates to learn which subject line gets more opens and clicks. 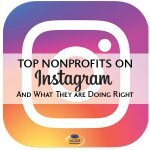 One of the main email marketing tips for nonprofits is to have emails that don’t make the user delete it almost as soon as they opened it. Start with the first line. You should be straight to the point on what the email is all about. Since many of the main email programs allow users to see as much of the first sentence as possible, you’ll also need to use this to entice your readers into reading your email. Next is the body of the email. When developing the content for your email, stay focused on why you are communicating, who you are communicating with and what response you want the readers to take. Based on your goals, you may need to tailor the content of your emails. 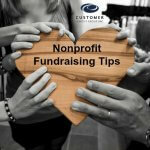 For example, when you are creating an email for a fundraiser, first-time donors might receive more educational material on your cause, while recurring high-value donors will get more detailed information on how the new funds will be used. Empower your subscribers with captivating images and compelling calls to actions. Images motivate and inspire donors to act, like pictures of those you help or action shots of your volunteers. More and more people are using their phone to check their emails. It’s more convenient. Forty percent of emails are opened on mobile first – where the average mobile screen can only fit 4-7 words max. Be sure to optimize your emails for small screens with responsive designed email templates (most email providers offer this option). An email marketing study by Yesmail found that the click to open rate is forty percent higher for brands that send exclusively responsive emails. In addition, there are many freemium tools online that can help you with testing the rendering of your emails in different email clients and mobile devices so your donors have the best experience. It’s a good idea to include a Forward to a Friend link in all your emails, especially if your subscribers are likely to share your content via email. You can even offer incentives to those that get peers to sign-up for your newsletter. Include all of your social media links and easy share buttons so readers can post your content to their newsfeeds on social networks. According to GetResponse, emails with share buttons have a 158% higher click-through-rate than those without. Social sharing enables you to increase your brand exposure and reach new potential donors. 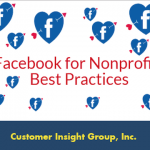 A recent Blackguard Institute study found that forty-five percent of Facebook users who saw a given post were not already fans of the nonprofit — the post popped up in their newsfeed because a friend shared the post. Probably one of the most important details you could add to the email is a call to action. After viewing your convincing email, a little nudge in the right direction will get your user to act. Make sure your call to action is clearly seen and stands out from the rest of the text in your email. 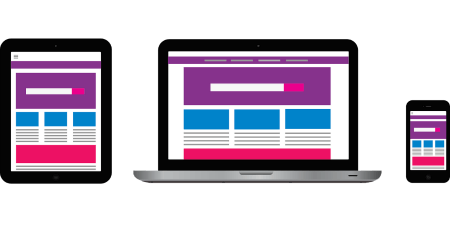 Creating a strong call to action can make the difference between a high click-through rate and diminished results. Here are some helpful pointers to keep in mind. Use powerful, compelling verbs that drive engagement (act, donate, help, save, explore, transform, fight). Be concise and use as few as words possible, for example, match my gift or donate now. Use eye-catching colors to grab your readers attention. Create urgency to act with words like last chance and today.